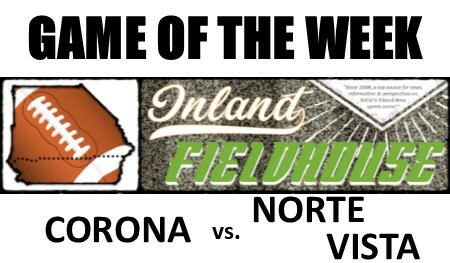 CORONA (2-2 overall, 0-0 Big VIII League) have lost its last two games by a combined score of 89-14, so almost anything will be an improvement at this point. A 34-0 loss at home last week to Victorville Silverado had to be a low point for the program, so expect the Panthers to be desperate and dangerous coming into their last nonleague game. Allowing 24 unanswered in the second half is not a good sign for the defense, and an offense without a quarterback has that sign floating down a river. Can this team rally around its circumstances to do more than miss the playoffs again? 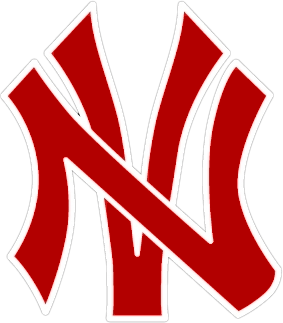 NORTE VISTA (2-1 overall, 0-0 River Valley League) had its early-season winning streak snapped at two games when it traveled down to Temecula Valley in Week 3 and lost, 42-21, on Friday, Sept. 7. Playing without senior running back Chris Melesio (knee), Braves senior RB Miron Hazem rushed for 85 yards and all three touchdowns, and is well on his way to a standout season in a multi-use role. Freshman RB Eddie Allain also provided a 45-yard run and 95 total yards in a sign of potential things to come for NoVi. This offense chews up running backs, however, so don’t be surprised to see every available warm body thrown in there in an attempt to gain three-to-four yards and a first down. Not much but desire. We’re guessing that Corona has more if ‘it’ right now.